14 years of experience. 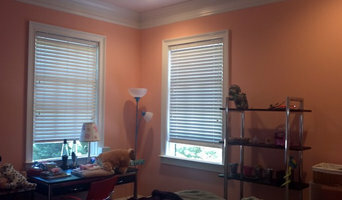 From normal painting to faux finishing in very reasonable and affordable prices. Overeducated Painters and Renovators focuses on detailed quality work. From the smallest condo to the historic Swan House, we take our time to do it right. We started in 2001 and many of our painters have been with us for over 13 years now. Questions about paint colors or what products to use... we have worked with the top designers and are up to date on current trends.. but the most important thing is finding a color that you will like and goes with your current or future decor. Southern Perfection Painting, Inc., where technology meets painting.It is more than just painting! We offer an unsurpassed list of great services. Whether it’s a question about a DIY project, interior & exterior painting and other services, we answer. Quality is our main objective at SPPI for almost 25 years. Our proposal will clarify the details of your contract including materials, application, and supervisory issues. Pricing – no hidden costs/no surprise “change orders.”. We make it our business to detail pricing before the job begins. There will be no surprises or unnecessary change orders. Our aim is to adhere closely to the written contract. You will feel secure with our agreement. Our projects are supervised daily by English speaking Foremen. Our crews have been with us for over nine years and have been extensively trained with providing our services for Residential – HOA clients and Government projects. Our entire project team is very aware of what is expected. We believe that communication is vital to the success of each project at SPPI. We do an excellent job by communicating, not only by phone, but with written status reports for each phase of your project. Meiller Painting was established in 1972 by John Meiller. It began as a residential and commercial painting and wall covering company. Since the beginning, having high standards has simply been, the standard. We have always taken great pride in what we do, starting with the prep work, to develop the finest finishes. Over the years, our work load has expanded and evolved by offering many other services to serve our customers better. Our scope of work is composed of homes, luxury hotels, office buildings, hospitals and churches. First beginning in Senoia Georgia and now serving Canton, Holly Springs, Woodstock, Roswell, Alpharetta, Milton and surrounding areas, we have expanded across Georgia! While the company has grown, our commitment to quality remains the same, and we always strive to exceed our customers expectations. We fully understand the necessity for deadlines, but do not feel that excellence has to be compromised by one. Most of our competitors are production oriented, with very few that provide quality, but we believe that we have something truly unique by having both. 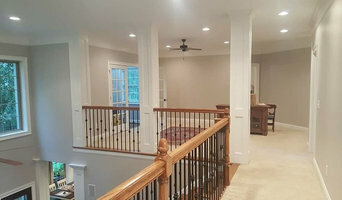 Fresh Coat is a Professional Painting Company that serves Gwinnett and Fulton Counties We offer a wide range of interior and exterior painting services, and we approach every project as if we were painting our own home. Whether you're looking to have your home painted, or you're wanting to upgrade your office space or business, you can count on Fresh Coat to deliver top quality painting services at a price that you can afford. We can handle all your painting, staining and wood finishing needs, inside or out. 10% off labor for jobs over $1K! Earthly Matters is a full-service painting company. We bring years of experience and a new approach to our customers. Simply put, we want to change the way our customers view the contracting industry. Earthly Matters will cover your job from start to finish with experience, courtesy and respect. 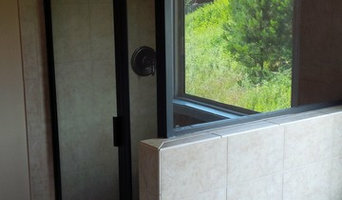 We specialize in both interior and exterior residential and commercial projects. We stand by our work with our Four STAR Service Guarantee. Earthly Matters is a service oriented company. We guarantee on time delivery of our service and provide top quality assurance to make sure our customers are satisfied. We are licensed, bonded, and insured and look forward to working with you. 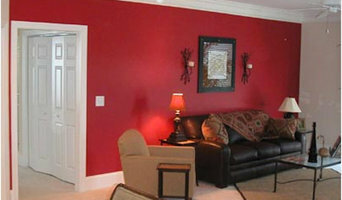 CertaPro Painters of Gwinnett, GA, provides residential and commercial painting services. From prep, priming and painting to carpentry repairs, from specialty coating to help with color selection, we are the painting company for all your painting needs. Call us today to schedule a free painting consultation. 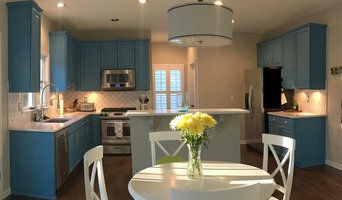 Danny's Pro Painting are experienced craftsmen offering over 25 years of professional painting services. Danny's work is of extreme high quality, neat, and they are always courteous to all their customers. Their integrity and reliability has allowed them to build a strong list of loyal customers and an outstanding reputation. Danny's Pro Painting are not only respected by their customers, but also by their peers in the painting industry. Upon your request, Danny's Pro Painting can offer ideas, suggestions, paint colors and finishes that will enhance not only the beauty of your home, but also its value. Worried about dust? Our way means no more dust... it's kind of a big deal. The Dust Defense System keeps all the dust and debris out of your home and confines it to the project area. Whether you are a home owner looking to do a renovation, or you are a remodeler who strives to keep a clean work room, you can use Dust Defense to insure the construction stays in the project room and out of the rest of the house. Saves time on cleaning and speeds up project by containing dust and debris inside the project area. Safe work environment for workers by allowing air circulation in project area. Keeps kids, pets, heating and air conditioning in the house and out of the project area. Protects home and family from debris, dirt, allergens, and molds. Affordable priced as an effective dust containment system. No need to hire house cleaners after the construction is complete (when mom is happy, everyone is happy!) Gives workers easy access to tools and allows complete efficiency on the project. Great way to increase business by advertising that you use the Containment Tunnel! Reusable and easy to set up! Atlanta's Unique Wall-to-Brick Transformation. Best of Houzz! We are affordable house painting contractors offering interior painting and exterior painting, deck staining, carpentry & wood rot repair, gutter & siding replacement, tile flooring & backsplash, drywall install and repairs & handyman services in Woodstock GA and North Metro Atlanta Area. All of our house painters are professional craftsmen with extensive experience. We are your residential professionals for house painting in Woodstock GA and the surrounding areas. Free Quote On All Projects!